SAN FRANCISCO, Jan. 29, 2015 /PRNewswire/ — Absolutdata, a leading data analytics firm, today released the NAVIK Converter, a product that helps Software-as-a-Service (SaaS) companies turn free and trial users into paid subscribers. The first ‘Decision Engineering’ product from Absolutdata, NAVIK Converter identifies users who are primed for conversion and recommends how and when to target them with marketing messages and/or product changes. In testing, the NAVIK Converter has raised conversion rates by as much as 30% without any increase in marketing spend. “SaaS companies struggle with free to paid conversions even though their business model relies entirely on making it happen. Data can be an effective tool, but only when wielded with precision. Absolutdata recognized that the solution is in asking the right questions and following the thought to the end, and not in getting tangled up in data and modeling techniques alone. The NAVIK Converter begins by identifying all ‘persuadable’ users: free and trial users that have demonstrated the potential to become paying customers based on activity inside the product, usage patterns, demographic data, engagement with marketing messages and many other attributes. For each segment of persuadable users, the NAVIK Converter recommends which product features to promote or discount in a marketing message, what channel to use (e.g. email, in-product, social media, etc.) and when it’s best to send the message. 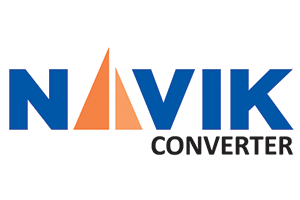 Once a decision about messaging is made, NAVIK Converter tracks the results in real-time. The SaaS company can make mid-course corrections and continually optimize conversions. It also recommends incremental product changes that will nudge free users to perform activities that lead to higher conversion. Before launching NAVIK Converter, Absolutdata tested the product with two different SaaS companies. One, a cloud storage company, increased its free to paid conversion rate by 30%. The second, an online genealogy company, increased its bill through rate (BTR) on free trial signups by 5%. Absolutdata is a leader in applying decision engineering to help the world’s largest companies make better decisions by bridging data, insights and action. Absolutdata has built strong expertise and traction with Fortune 1000 companies across 40 countries. The company specializes in big data, high end business analytics, predictive modeling, reporting and data management services. These services provide significant value to clients by helping them optimize marketing spends, undertake targeted marketing, and using customer relationship analytics to achieve superior retention and cross sell. The company is investing in emerging areas such as big data, digital and social media analytics. Founded by Dr. Anil Kaul, Sudeshna Datta and Suhale Kapoor who come with experience at McKinsey, Mitsubishi, Kraft and Pfizer, it currently employs nearly 500 professionals across offices in San Francisco, Los Angeles, New York, Chicago, London, Singapore, Dubai and Gurgaon. www.absolutdata.com.